I am pretty much a traditional shape guy. 99% Traditional shapes, mostly British. Although I love traditional shapes, Billiard, Pot, Prince and Dublin, I cant help myself when a traditional has been taken to a new level by being pinched, squashed or tortured into a wild shape that allows one to see its origins yet realistically is non traditional. I have a soft spot for wild interpretations of natural items from nature being made into pipes and shapes that touch me as well. Would Falcons and Cobs be considered traditional. If so then I'm traditional considering that's what I smoke most of the time. All traditional except for half a dozen freehands. I have a soft spot for wild interpretations of natural items from nature being made into pipes and shapes that touch me as well. Traditional, but I have a few Danish style. All traditional for me so far with my 20 or so pipes. I've eyeballed Nording freehands from time to time but can't seem to pull the trigger. 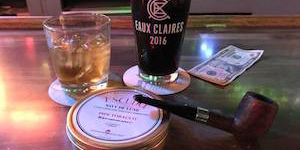 All traditional except for a Poul Hansen estate pipe. I collect dublins with all of its subcategories of zulus, horns, etc... and bulldogs, but I don’t care for the Rhodesian bulldogs or the bull cap subcategories of the standard bulldog. However, with the bulldog, I really enjoy variations created by artisans. As long as it has the two cones for the bowl and a diamond shank, I enjoy it when the artist plays with dimensions and distorted proportions within the genre. I find it funny that freehands come up as non traditional. I guess it is, but the name brings to my mind a very specific shape, which I think of as traditional. For non-traditional, Neerups and Beckers come to mind. Traditional, with one Danish, and some carved meers- whether those'd be considered traditional or not, I don't know. Guess is they are. Bad traditionalist here , except for some of Castellos, mostly I favor all them British old school shapes. I think freehands are traditional by now. On that basis, my pipes are almost entirely traditional but with lots of variation and as is generally true a number of hybrids. That is, you can ponder whether this one is a brandy or an apple, and whether that one is a brandy or a volcano, a poker or a pot, and so forth. The the tradition is evident in nearly every pipe, maybe all pipes. Whilst the bulk of my shoddy assortment of derelict pipes is largely traditional in nature (Barlings are very traditional) I love an imaginatively designed pipe that smokes well. C'mon, what's not to like about fins and flames! Primarily traditional here, too, allowing for some neoclassical Peterson interpretations. Have a couple of freehands I like but it's only the rare freehand I find particularly attractive. That's a lovely one you've got there sable. Traditional, if stubby nosewarmers count as traditional. I don't like anything that looks too 'silly'. I only have four pipes, three are of the typical bent style (one of these being of the stubby big ben variety) and my latest which is a straight. I bought the straight because I was growing very tired of the typical bent shape. I'm in the very traditional camp. Traditional. Billiards and bulldogs mostly. The bent billiard shape is what works best for me ATM. Most of my pipes are traditional. But that's because they're just so dang collectible! You get one (for example) Peterson 106 Billiard, and then you want another from another line with a different stain, stem, etc,. But I love freehands and many non-traditional shapes. But freehands are all hand shaped, and no two are exactly alike. So it's really a bit more about what freehand in a group you may be looking at are more pleasing to your eye. I think, in a way, it makes them more special. Very much a traditionalist when it comes to pipe shapes, I like the straight billiard family and the bulk of my collection follows this. I have the odd modern shape like the devil anse but then it's not exactly an 'out there' shape. All my briars, twenty or so, are trads. I thought we'd see a majority of traditional shapes. Part of that has to be that the more non-traditional styles happen to be more expensive. Nothing. 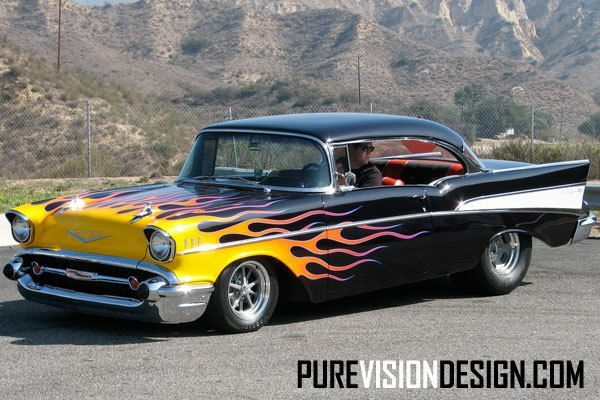 There is absolutely nothing NOT to love about fins and flames! Traditional for me, mostly Sasieni Straight Billiards and Apples. I do love some of the more traditionally shaped Castellos, as well (I'm looking at a Buldog variant now). I don't like squashed, stubby, pinched, or Danish Freehand pipes, and loathe anything metal or made from food! I realize this is all subject to change, but I have always liked pipes that, to me, look like pipes. Traditional. I'm not much a fan of non-traditional shapes. Somebody needs to link to Fiddler on the Roof. I have no skills. 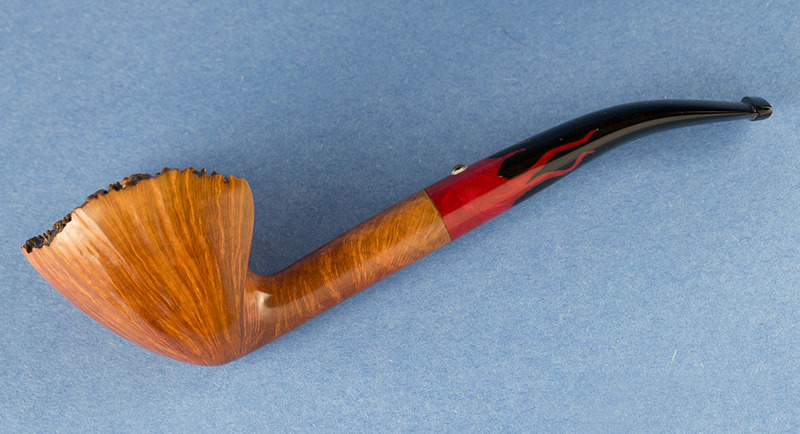 I keep the Savinelli and GBD yachtsman shape for clenching, but for sit down time, volcanos, blowfish, and pipe shapes that defy classification are what I like. Traditional shapes on the whole bore me. Traditional, although I do have one Dunhill that is a bit Art Deco looking. One of these days I suppose I might try a Falcon but haven't worked up to it yet. I find those vaping devices to be repugnant so anything metal just rubs me wrong I suppose even though the Falcon is old enough now to be considered a classic by some standards. I do admire the creative genius of the artisan pipes that I see posted here though! The beautiful designs are impressive and some of them are just pure artwork with the added bonus that you can smoke them. Fishbanjo has the most remarkable collection and it just boggles the mind to see the stunning artisan pipes and materials. Yowser! I have traditional and crafted pipes both. I love to have variety. But if I had only one pipe to smoke, I would be happy to have just have that one pipe regardless what it looked like. 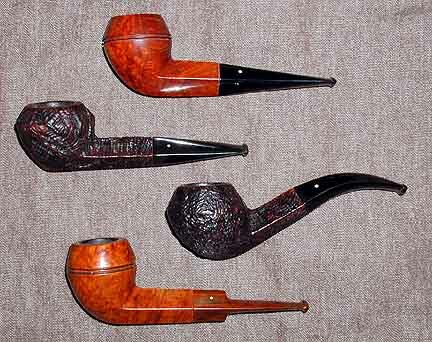 The vast majority of my pipes fall into the billiard family (counting Canadian and Dublin subfamilies) or Bulldogs. Most of my cobs are traditional but I do have a couple none. As I thought about it, it occurred to me that it would be pretty challenging to get more than few pipes that weren't in some sense traditional, especially if you'll give me the point that freehands are traditional by now. To try to get entirely pipes that defy associations with traditional shapes would be quite a task -- I'm not saying impossible, just quite a task. Or, they can get more experimental, within the perimeters of the genre. And, then they are "non-traditional" in their shapes. That's funny Cosmic, I purposefully named traditional shapes because of the vagueness of "traditional" to be more specific, but your last post made me even less specific. My pipes tend to be traditional versions of the billiard and bulldog families. My problem with billiards, is that when they play with proportions of that shape, it becomes something with a traditional name... apple, ball, brandy. So, it doesn't leave itself very open to artistic interpretation. That, and they just look like something some square 1950's dad would smoke. My love for billiards, is that when they play with proportions of that shape, it becomes something with a traditional name... apple, ball, brandy. So, it doesn't leave itself very open to artistic interpretation. That, and they just look like something some square 1950's dad would smoke. Cosmic has it correct. It's not just about names, it's about the proportions, which were well understood and fairly rigorous. Even the variants, such as billiard chubby, or billiard curvet, followed proportions for shaping. Which is to say, I like to judge a maker by their execution of the billiard and get an artistic pipe later based on that judgement. Crash, I hear that a lot, and it just sounds stupid to me. If I want a bulldog, I judge the maker on how he plays with those proportions of the bulldog. If a maker makes a fantastic billiard, that doesn't make a flippin' difference on how he handles the bulldog shape. I think when people say that, they mean that they use that artist's billiard as a way to rate the artist overall against other artists. It doesn't necessarily mean that they will excel at other shapes, just because they can do that one really well. As a pipe maker, I can see a lot of their skill in the shaping of a billiard. It really makes a difference to me to see what their base line skill is and where their strengths lie. But I also really like a good billiard, so some of that is certainly personal. is an incredibly accurate statement. I could argue a few other shapes, but the bulldog is so much different, even requiring a completely different lathe setup and, depending on bent or not, may barely see a lathe. I'm not saying my way is right for everyone, but it works for me. I think we agree, it just took you a minute to see what I am saying, ha ha. Take slow to begin with and multiply by Monday. Cosmic, interesting point about variations within a given shape, and how that can also be non-traditional. Sixten Iversson's design for the Stanwell pot is sort of a squashed hemisphere, very un-potlike. 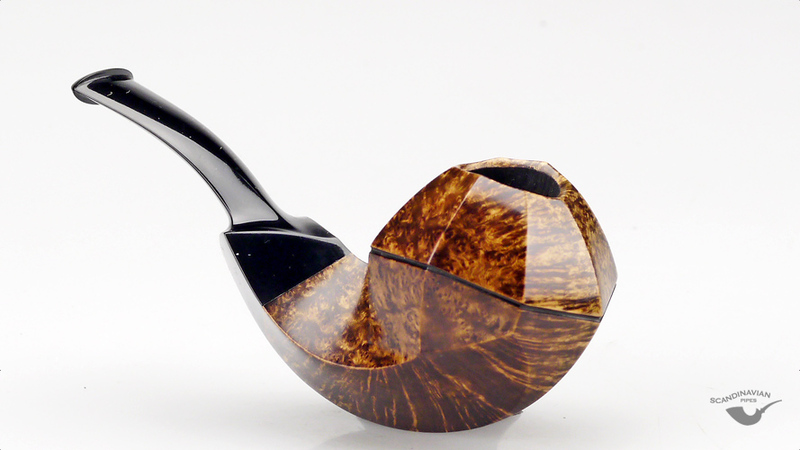 My Peterson B11's are often currently sold as volcano shaped, but used to be consistently sold as brandy shapes. Under this revised definition, many of my pipes tend toward non-traditional. I haven't quite figured out if my Kaywoodie Drinkless Ruf-Tone us a pot, author, or what. In other things like architecture my tastes are more wide-ranging. I love art deco as well as gothic. But in pipes my tastes are very boring. billiards, etc. I find that lattice Konstantin Shekita in the OP's post hideous as it has no discernible shape, and is thus a blob whose only achievement is to be covered with holes while not imploding. 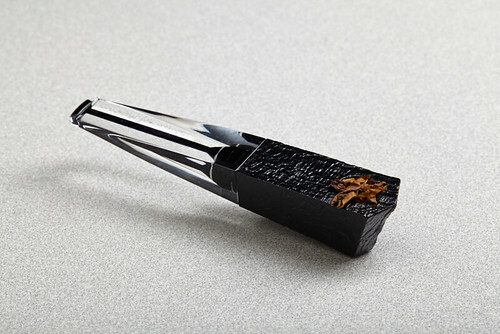 BTW, still on sale at smokingpipes for the paltry price orf $1600.00. I guess they price it per hole. IMO, we tend to have a disorder that makes us constantly want to pigeonhole everything and pigeonhole, within pigeonholes. . 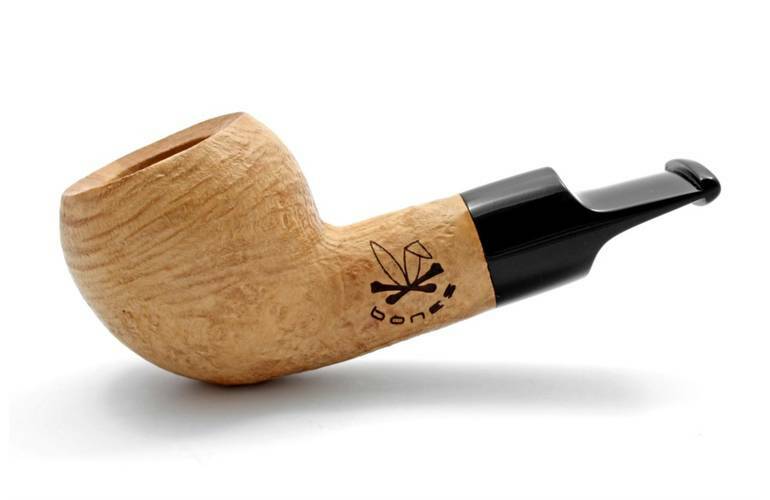 Some names are just overkill, IMO, Brandys, Rhodesian bulldogs, zulus, etc... We could probably understand each other perfectly with only about five pipe shape names to describe the entirely of all pipe shapes out there. I like the use of ridiculous names when we are actually trying to describe a pipe to each other, as in the brandy, my favorite being one that looked just like my favorite brandy snifter but inverted. I don't think we need to try so hard to actually classify them as such, though. The words/reality schism will always be there, but words used well can bring the object or thought within range, sometimes. Well said! To expand a bit, the outcome of nature/nurture predisposes us to the experiences that we will have, fate/destiny, the outcome of which is that we each have our own definitions for words even though the assigned meanings are in black and white in the dictionary; the upshot of which is that communicating by words is subject to idiosyncratic natures. And nicely written! Haven't read something like that since Wolfe's From Bauhaus to Our House and The Painted Word. All traditional for me. I already feel embarrassed enough to appear with a pipe in public, one of those "futuristic" shapes would make me even more uncomfortable. Just joking, I couldn't care less about all the rubberneckers who stare at me every single time. Thank you but The Painted Word in every way surpasses my writing, The ideas are more witty and complex and more finely drawn, and the commentary on modern art as being the first art to require a scorecard for its interpretation is fine satire. By traditional, I mean a pipe that one can just look at, match up with the shape chart, and identify. That's the 'canonical' definition of traditional, Mike. Doesn't have anything to do with time periods. Of course there are subtle variations with a given shape from different makers, but the basic shape is still there; kinda like with the three types of body –not all ectomorphs look like clones but the basic geometry is there. I guess that would put me about 70-30 non-traditional. I've got a few outliers like an old Sav Autograph Giant sandblast. I'll see if I can find an image of it & if not I'll try to take a snap tonight. It's basically like a bloated blackjack. Seriously. Not kidding. I think some of the traditional shapes seem to be natural or logical shapes for a pipe. Apple, billiard, pot, dublin, cutty, they are just vessels for tobacco. I guess the bulldog, now a traditional shape, must have seemed pretty extravagant at some point. I did a huge post on bulldogs at one time. They were the first pipe shape created on those slot and peg frazing machines that fully created the pipes by machine in the late 1800's. They had a brass cap that made them look more like a billiard, but guys would tear that brass cap off, because they just looked too frilly for men. Thus the bulldog was born. They were the first fully frazed stummels, completely machine made. That is why they look like they do. But, since artists have elaborated on their shape. But, funny, the billiard to me looks like the least natural. 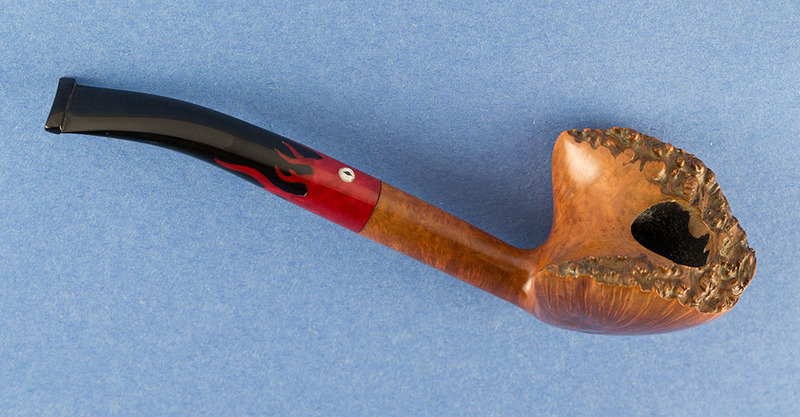 While the dublin is a bent funnel or horn, the billiard has to be fancifully shaped to look the least natural of all of the pipe shapes, IMO. I don't think I get what you're saying about the billiard, Cosmic. As I see it, it's a no-brainer. A cup and a tube, basically. I tend to like the classic shapes, pipes made in the 50’s & before. Partly it’s a like of more gentile times, as well as I like traditional sized pipe dimensions. 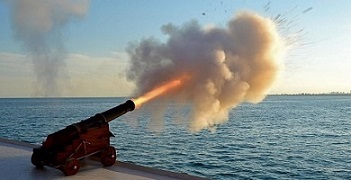 So without those insecure men over a hundred years ago, we would never have the Bulldog?